Futurama gang(South Park version characters). 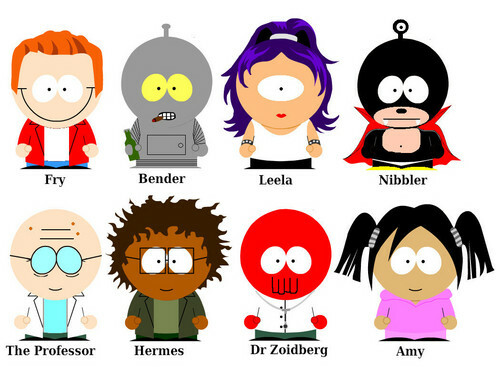 A South Park version of the Futurama gang. All of the main cast is in this photo.. HD Wallpaper and background images in the South Park club tagged: south park futurama gang funny hilarious weird awesome. A South Park version of the Futurama gang. All of the main cast is in this photo. How did you give Leela one eye?